Hindi actor Jackie Shroff is acting in Tamil movie "Aaranya Kaandam" as a "Dada". During this film media meeting, he shared some comments about our Superstar. I always love Chennai. From Chennai, A.R. Rahman managed to bring India to international level. I love acting in Tamil films and happy to see genious artists in Tamil Nadu such as Ilayaraja, S.P. Balasubramaniam, etc. SPB had sang many songs for me. 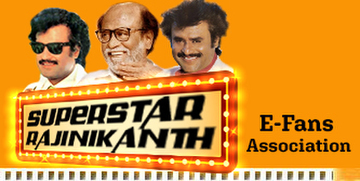 There is another special in Chennai and that is our Superstar Rajnikant. I have acted with him in Uttar Dakshin (1987) as his brother. I know him very well before this film but after this film we became very close friends. When my marriage function was held at Mumbai, he all the way attended my function. He is a such a lovely person who gives importance to friendship. I am back again at Rajini's city and very proud of it. Dismissing the numbers game in the film industry as a farce, he says, Rajnikanth is the only true blue superstar in India. None of the Hindi actors can ever dream of getting a price that he gets. He can keep a film going for months on end.